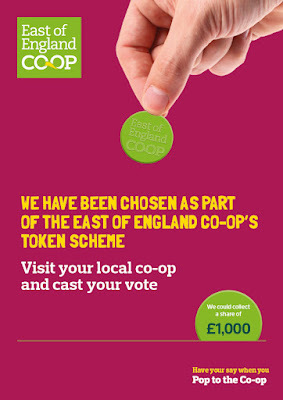 green token to put in the collection box of your choice. (& in Eye and in Debenham). More tokens in our box means a bigger share of the £1000 from the Coop. Our super confident Reception children from Class KM delivered a wonderful Celebration Assembly today to the whole school and to their own parents. Several favourite fairytales were mixed up in a story that delighted the audience. What a lovely way to end the week, thank you Class KM. Coming to school this morning was surprising for many children - as they walked onto the playground they were greeted by our school orchestra performing a 'Flash Mob'! Well done for braving the cold (& some nerves) to perform so well. They played the Theme from Handel’s Water Music beautifully and with real musicality. Mrs Mawson says "A big thank you to all of those in our school orchestra who turned up for the “pop up” event, I am very proud of you all." Of course, we must also thank Mrs Mawson, for her commitment to the orchestra and to the enhancement of music in school. On 2 September 2015, 2kg of rocket seed travelled from Baikonur, Kazakhstan on the Soyuz 44S rocket to the International Space Station (ISS). The seeds have been stored in microgravity by Tim Peake (the first British ESA astronaut) before they recently returned to Earth. Classes VW and JA were lucky enough to receive some of these seeds. 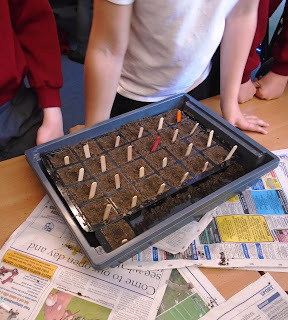 The red and blue seeds were sown and will be grown for a period of 35 days. Children will need to measure and record similarities or differences in plant growth between the two seed packets and record this on a Measurement Chart. At the end of the experiment, we will enter our results on the national database where the findings will be analysed and published. We'll make a prediction based on the evidence as to which packet contains the space seeds, red or blue. This term Key Stage 1 started our new topic 'Wriggle and Crawl'. As our memorable experience we went on a mini-beast hunt near the community gardens. In these pictures we were identifying mini-beasts using a reference sheet, after carefully catching them using the correct equipment. On Wednesday the School Hockey Team travelled to St Joseph's College, Ipswich to compete in the County Hockey Finals. 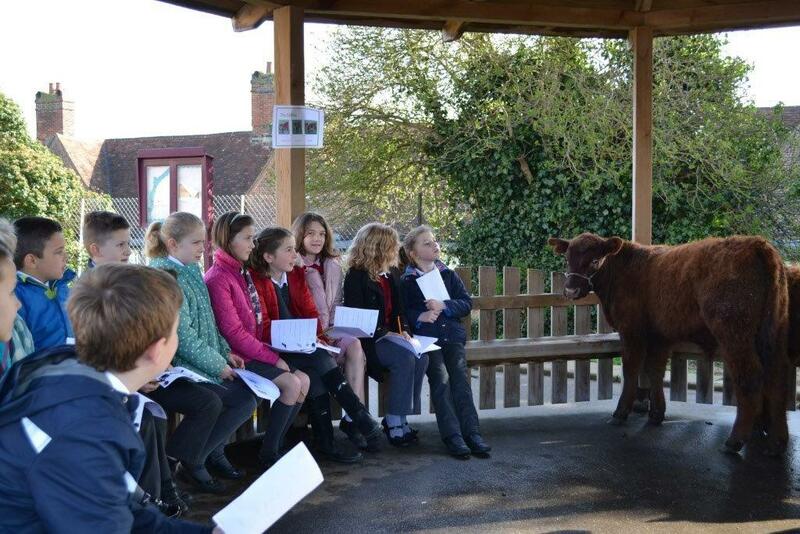 The competition featured the top 16 schools in Suffolk who had qualified for the finals by winning their local competitions respectively. 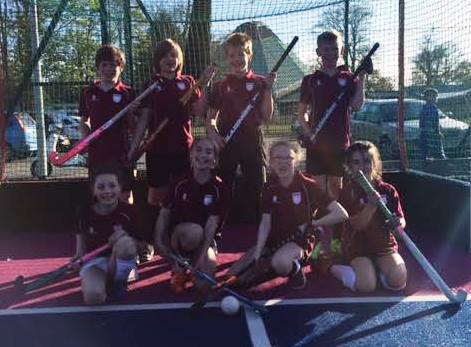 Framlingham continued its high performances at the tournament by achieving notable wins against Exning (2-0) and Helmingham (3-0) and well-earnt draws against East Bergholt (1-1) and Leiston (1-1). The only two losses came against a strong Wells Hall side (1-2) and Bawdsey (0-1) who finished eventual winners. 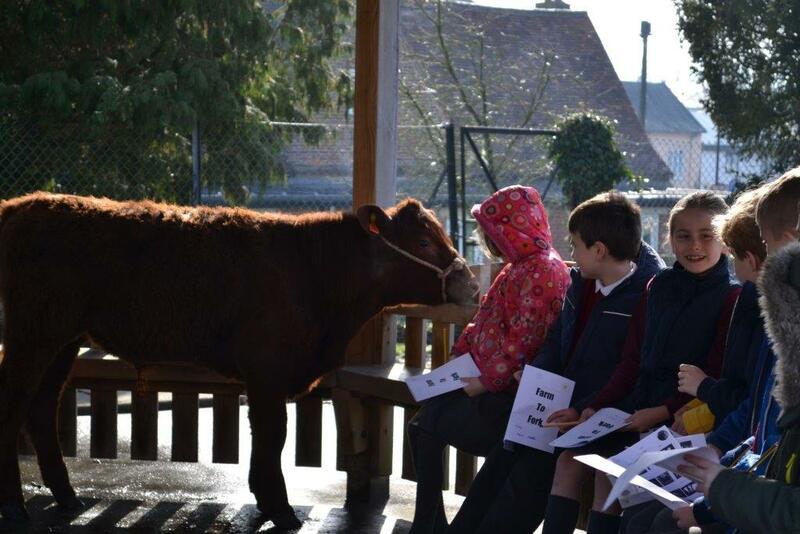 The reception classes were treated to a live action fairy tale yesterday! 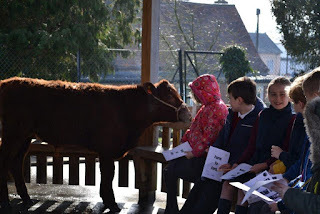 Mrs Hopkins, Mrs Mawson, Mrs Waddell and Miss Harrison brought the story of Goldilocks and the Three Bears to life in the hall for the children. They thoroughly enjoyed the whole experience, laughing (in all the right places!) and considering the moral of the tale. 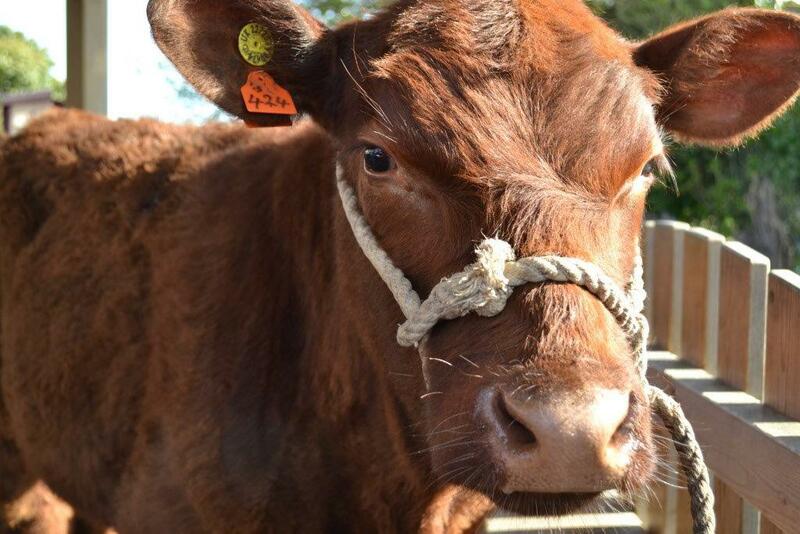 On Wednesday, Roger and Emma from ‘Farm2Form’, Iken caused great excitement in the playground at Sir Robert Hitcham’s School in Framlingham when they arrived with three six month old Lincoln Red calves in the outdoor ‘learning zone’. The focus of the day was to support the current Geography topic of farming and the year 3 and year 4 children were able to spend time with the calves finding out about their welfare and asking questions to find out more about other livestock on the farm. 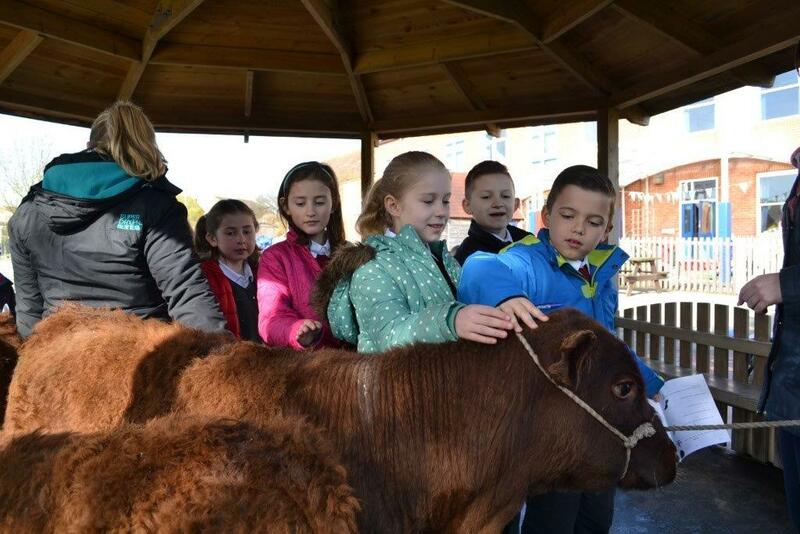 Alongside this hands-on practical experience, three other class-based activities were used providing agriculture as a resource. 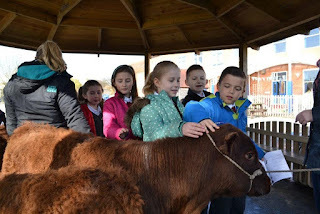 The children were able to explore the seasonal crop rotation discovering what products are made from which crops; to examine the stages of milk being produced from a dairy herd addressing the vital processes needed and what other farm animals provide, and finally, to consider “A day in the life of a farmer” in which many children were amazed at the 4am start for most farmers finishing mid-evening!